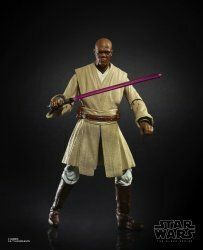 Also revealed today, Mace Windu! 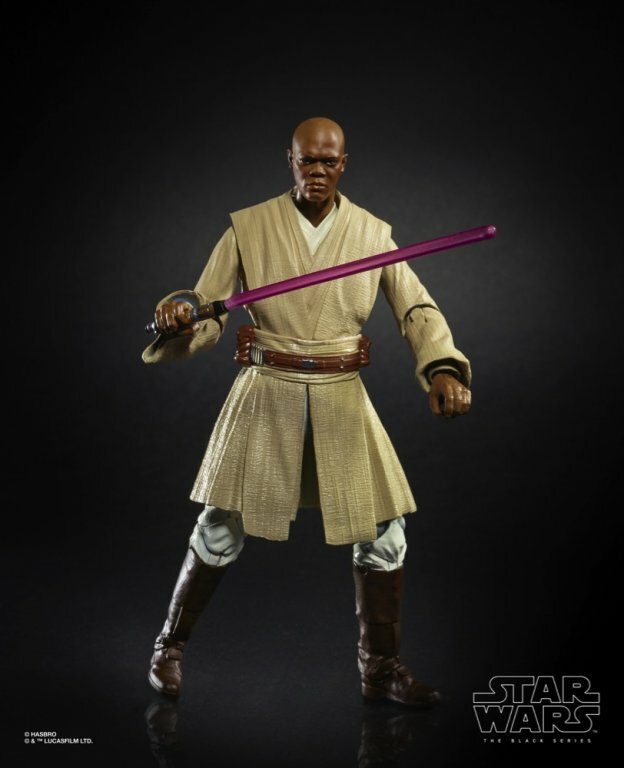 This 6-inch The Black Series figure has that hyper-real likeness on the face so you know you're getting Samuel L. Jackson at his L. Jacksoniest. 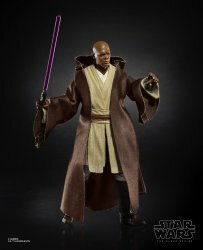 Particularly notable is an uncommon accessory at this size - a Jedi cloak! We don't get a lot of these, but there have been a few fan-made ones over the last few years. I haven't tried any myself, but I'm hopeful these will turn out better than some of the oddball 3 3/4-inch scale ones since 2006. Even if it's not great, the rest of the figure looks phenomenal. I'm excited. I'm looking forward to 2019!